Please see the photographs and description below. If you are interested in a bike, please contact the seller by clicking the “Reply, ask a question or leave an absentee bid” button. Auction Reports, Updates and News, cycles cycle. permalink. Sellers post your lots for Sat 4th Oct 2014. Buyers take a look. 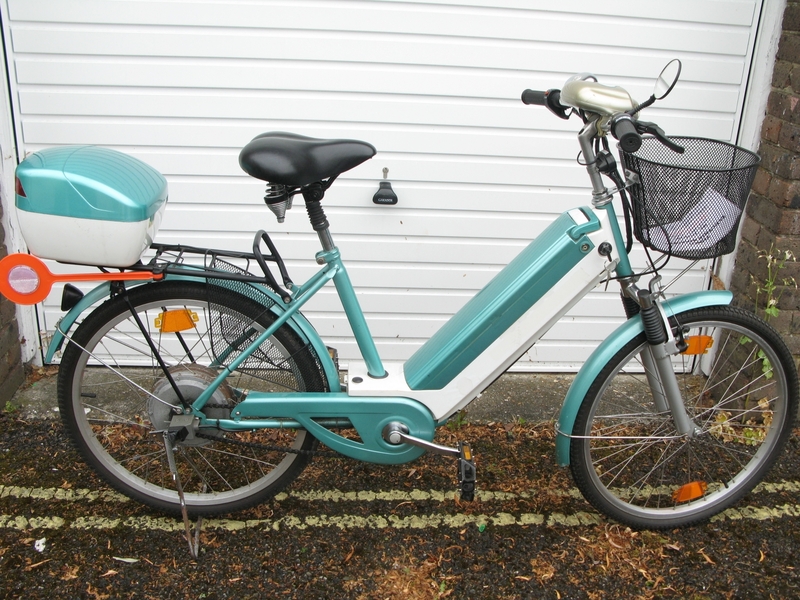 Timco W5 24″ wheel Electric Bicycle – very little use and in very good condition. Removable and lockable battery pack with standard sealed batteries. Brakes and tyres have little wear. Working headlamp and horn. With front basket and rear helmet box. Front fork and seat suspension. Mudguards and skirt guard. Raleigh Michigan hard tail mountain bike. 54cm 21 1/4″ centre to centre seat tube. 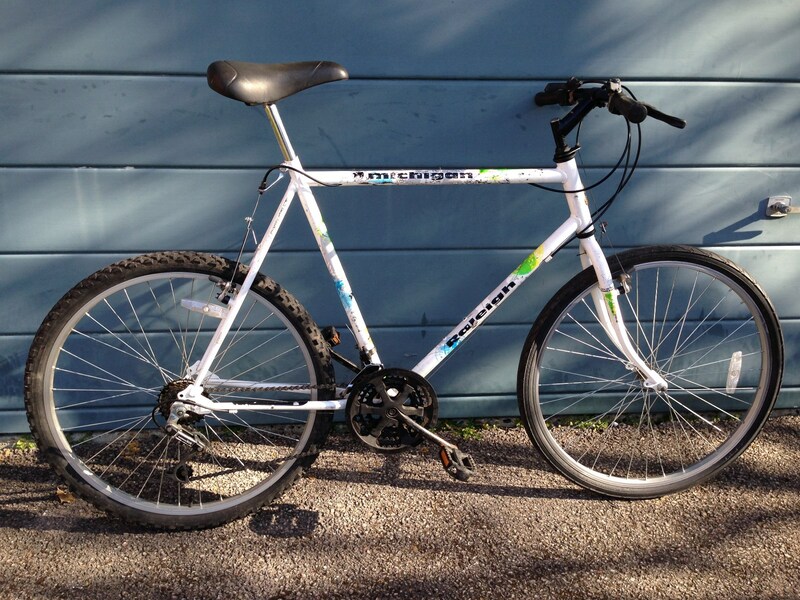 New 26″ wheels, cassette, bottom bracket, partial replacement of gear/brake cables and outer casings. Overhauled and ready to roll with good gear changes and brakes which stop and don’t squeak. 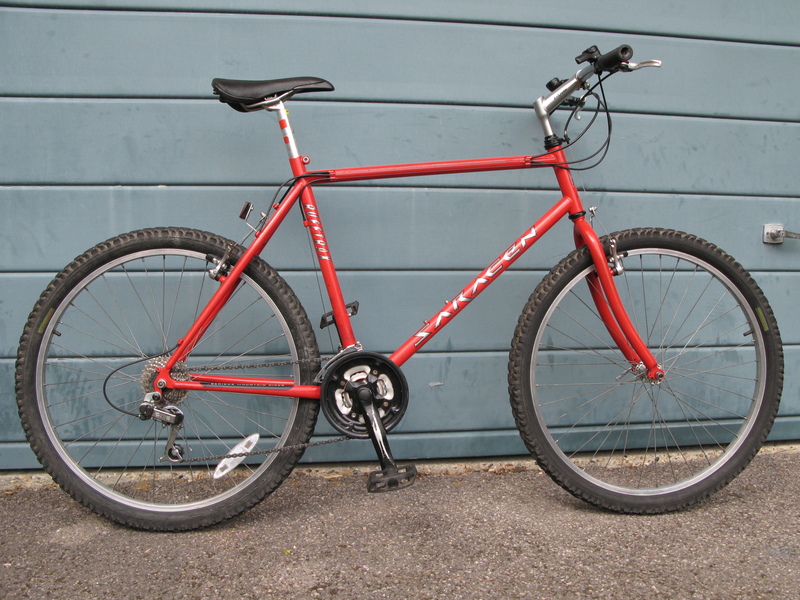 Saracen Rufftrax 21 gear steel retro mountain bike 49cm frame. 21 gears Shimano SIS shifters and derailleurs. Smooth and positive gear changes. Bottom bracket stripped: new spindle and ball bearings, greased, smooth running. Saracen Camel tyres 26″ x 2.1″ should be replaced if you are going to do some serious mountain biking. Its all set up and ready to ride. Bottom Bracket stripped – spindle and ball bearings replaced, greased. Fuji Odessa steel frame bike. Mountain or Hybrid bike. 49cm centre to centre seat tube. Overhauled: Greased and set wheel bearings, new V brakes and blocks, new gear cables, steering bearing cleaned and greased, new grips, 21 gears, bottom bracket and pedals in good order. With new seat post and a used saddle. Mounting points for 2 x bottle cages, front and rear mudguards and rear rack. 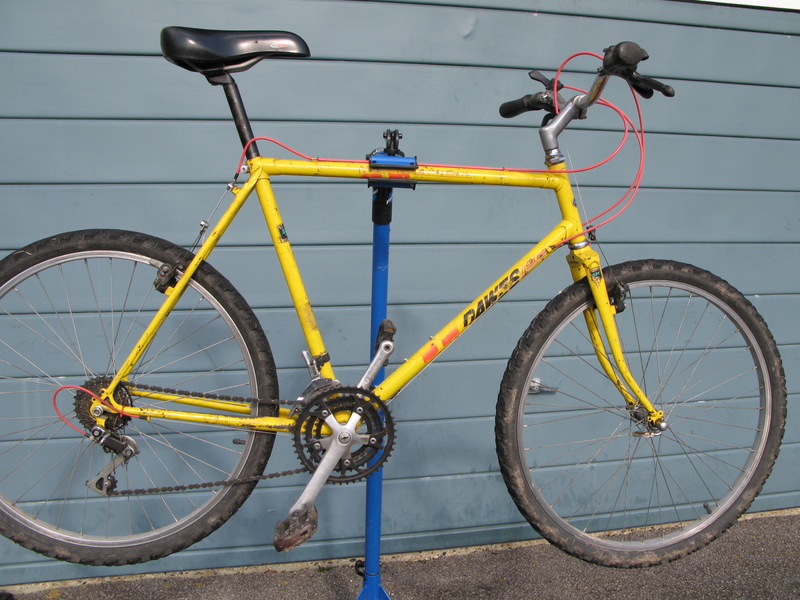 Dawes Wildcat mountain bike refurbished and lubricated. New Shimano sealed bottom bracket, seat bolt, stainless gear and brake cable and covers (pink is the original colour!). Shimano Biopace chain rings, Reynolds 500 52cm / 20.5″ frame, Reynolds 531 forks. Lubricated and set up. Ready to ride. For sale at £65. I’m interested in the bike. I’m 6′ 2″ and haven’t cycled for many a year. Is it suitable? Also where is the bike – location. 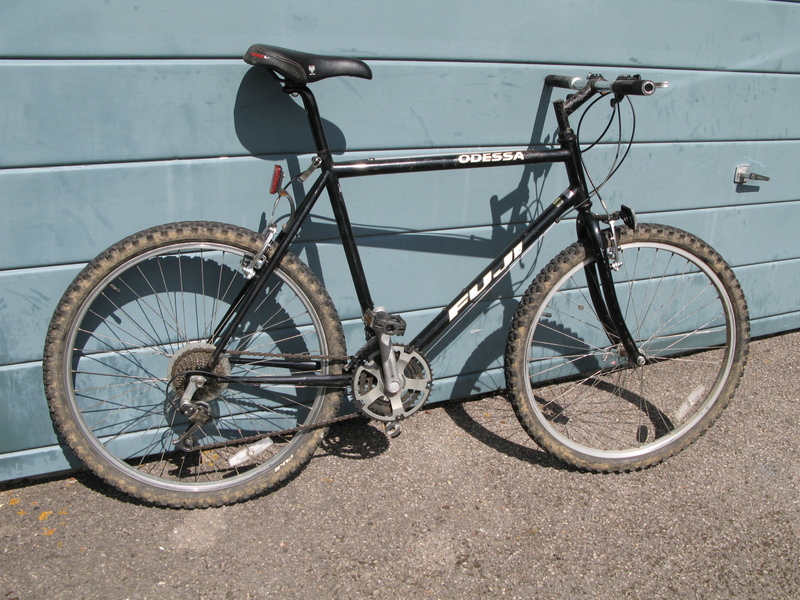 For 6′ 2″ with a flat top tube road bike frame sizing charts suggest in the range 57cm-63cm. For mountain bikes this can be reduced a little as you tend to sit more upright. Depends on inside leg as well. I’m 5′ 11″ and the Dawes Wildcat is a bit small for me. The Raleigh Michigan is closest to your size. That’s a comfortable ride for me. There is another few cms available on the seat post. All these bikes will get you going again (if the correct size). 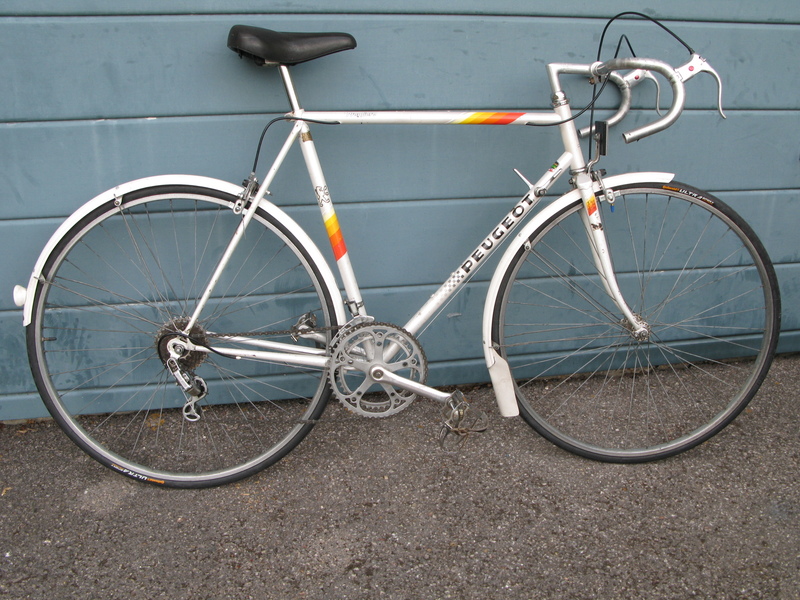 The Peugeot has the challenge of the non-indexed down tube gear shifters but many people would have been delighted to have it as a first bike 30 years ago! As stated above the bikes are all in Alresford, Hampshire.